For one year, artist Stephen Turner lived in an egg on the Beaulieu River in England. He spent his year there in character as Beaulieu Beadle, noticing nature and writing a blog about his experience. 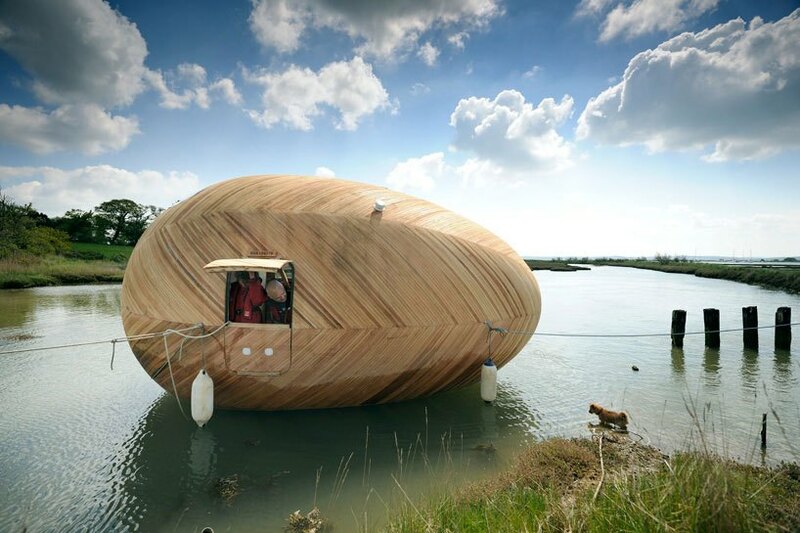 He created the Exbury Egg in collaboration with the Space Place & Urban Design (SPUD) and PAD Studio to show how artists can engage with environmental issues, including climate change. Over the course of a year, he developed a deep intimacy with the place where his egg floated: on the edge of a river, surrounded by marsh, mud, water, grasses and trees, along with many creatures sharing the space with him. His blog posts from the year mark changes in color and light, in blooming and blossoming, and the arrival and departure of visitors both human and otherwise. Beaulieu Beadle demonstrates the power of noticing where we are; our missing connection with nature and with place in our hectic, urbanized world, how much we have to learn and how much we have to lose during this time of intense environmental change. Like Thoreau, Beaulieu Beadle lived secluded and simply in his egg, relying on solar power, local food, and natural sources for things he needed over the year. On the banks of the Beaulieu River, the Beadle sought communion with the rising briney waters. To paraphrase Thoreau; are we not also mostly water ourselves? Stephen Turner’s experience as Beaulieu Beadle is now over, but you can read and see and even hear (with video recordings) some of his experiences on his archived blog, and learn more about the Exbury Egg.